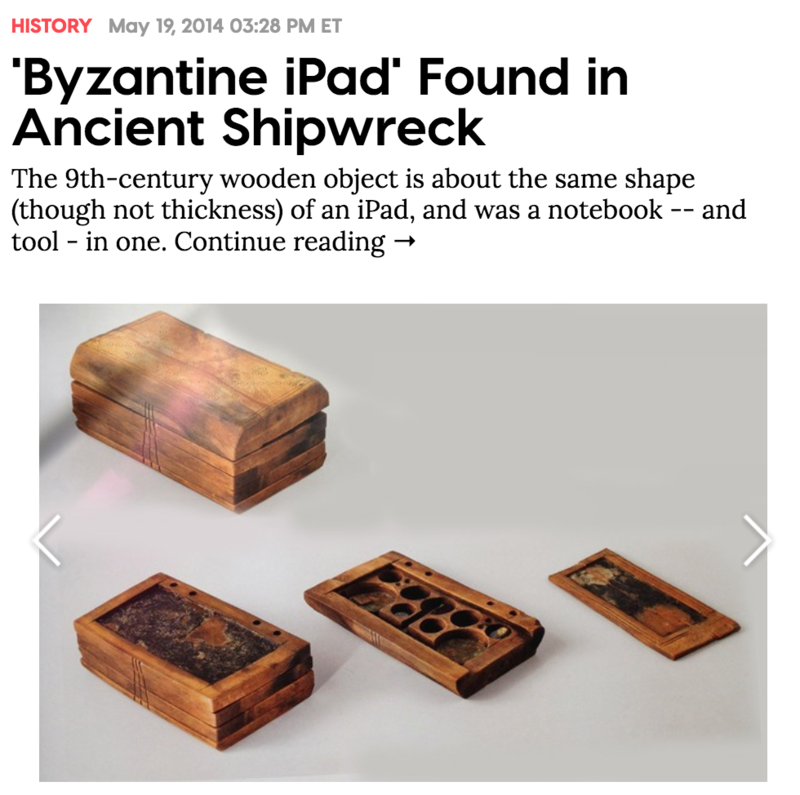 Byzantine iPad found in Shipwreck! I was amazed to find this article about an ancient invention found in the Yenikapi excavations in Istanbul, Turkey. They call it a Byzantine iPad because of its portable nature: “a notebook and tool in one.” In the bottom is a hidden “app,” that helped the captain to guide his ship. Many people think that those in the ancient world were ignorant and unsavvy. This was made after the time of “King Arthur” and Charlemagne, when Leo the Wise was Emperor of the East. We see in it a desire for a portable all-in-one device. Certainly our modern-day techno-tech, silicon-based society was based on this same desire. But for people before the advent of the transistor, the microchip, and internet, those who came before us had their share of fascinating technology. History is full of interesting artifacts such as this. I’ve always wondered what it would be like for someone from those days to see, for just a few minutes, a smartphone or a television. What would go through their mind? What criticisms would they have of it? Say you lived in the days of Marcellus from Trunk of Scrolls, or in the days of King Arthur, or even as far forward as the days of George Washington, and say you travelled to the modern world… what would you think of the modern inventions of the smartphone and the television? What criticisms would you have of it? Comment below.